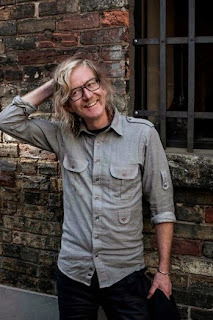 The Broken Social Scene founding member, who also scored Paul Schrader's The Canyons with Me&John, released his second solo album, You Gots 2 Chill, in October, and the theme for this follow-up to 2008's Something for All of Us definitely takes cue from its name. With songs like the beautiful "Never Go to the Races," "Plugged In" and "Bullied Days," which features vocals by Daniela Gesundheit of Snowblink, it's hard not to be swept away by his luxuriously textured aural landscapes. If you have yet to see Canning perform live, this is your chance to see him command the stage in a very intimate setting. Detroit's Holly Miranda warms up the crowd for Canning with a set that includes her two new singles, "Everlasting" and "Desert Call" (the recording features Kelis on backing vocals), that were produced by Dave Sitek and released on his new label, Federal Prism. The Emmy- and Grammy-nominated actress, star of "Drop Dead Diva" and confessed pho addict (see her Jigsaw interview here) finally brings her new stand-up comedy show Mother to her hometown. While Young-Hie Cho has provided inspiration for many of Margaret's characters over the years, her long-suffering Korean mom is the main focus of much of the material in this show, with Cho frequently slipping into an impression of her. She says, "My mother did not prepare me for the world. First – I was named the poetic Korean name 'moran,' which was perfect for the kids at school to call me 'moron,' and set me up for a good quarter century of therapy. However, I can clean a fish with my bare hands." So hilarious – and relatable to people from every cultural background. The Skirball celebrates the recent completion of their campus with this winter party that takes place in several venues throughout its 15-acre grounds, including the first-ever performance in the Guerin Pavilion and after-hours access to the Global Citizen: The Architecture of Moshe Safdie exhibit. Sway along to a live set from Long Beach's Avi Buffalo and the L.A. debut of Brooklyn quartet People Get Ready, sample specialty cocktails, enjoy sets from KCRW DJ Jason Kramer and be treated to a site-specific performance by Jmy James Kidd and her company, the Sunland Dancers. I am such a sucker for musicals, and Bob Fosse-choreographed and -directed gems are hard to beat. American Cinematheque hosts a double feature of two of the Tony- and Oscar-winning legend's films, with an introduction by bestselling author Sam Wasson, who signs copies of his new book, Fosse, in the lobby at 6:30 p.m. Then, Liza Minnelli and Michael York star in 1972's Cabaret, winner of eight Academy Awards including Best Director, which Fosse won over Francis Ford Coppola for The Godfather. In between screenings is a discussion with assistant choreographer Kathryn Doby and first A.D. Wolfgang Glattes, followed by Roy Scheider, Ben Vereen, Jessica Lange and Ann Reinking in All That Jazz, based on Fosse's own life. Two of Fosse's non-musical movies, Star 80 and Lenny, screen on Saturday. Although tickets for Sunday's Night Two show (with headliners Arcade Fire, Phoenix and Lorde) are gone, as I'm writing this there are remarkably tickets remaining for this first night. 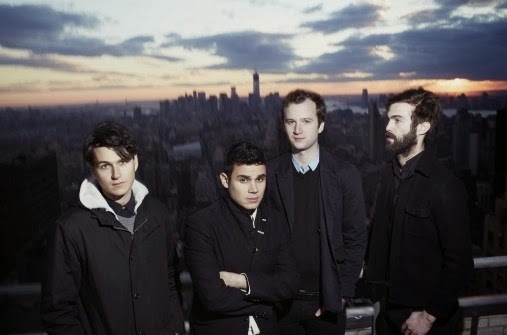 There are several Night One acts whose albums are landing on my top year-end list, including Queens of the Stone Age and Vampire Weekend whose Modern Vampires of the City landed at No. 1 on Rolling Stone's 50 Best Albums of 2013 as well. Also in the lineup are Kings of Leon, AFI, Arctic Monkeys, Cage the Elephant, Grouplove, New Politics and Foals. Hurry up and get your tickets, though, I'm sure this evening is going to sell out soon. Support local vendors by picking up your holiday gifts at the "largest Made-in-America shopping event in the country." With over 350 specially selected designers and artists exhibiting their wares today and Sunday, you're sure to find something for everyone in your life. There are T-shirts from Treacherous Minx, scrubs and elixirs from Kings Road Apothecary, jars of tangy goodness from Pickled by Hattie and customized jewelry pieces from Love, Kate, to name just a few of the participants. The portraits that Oh! Snap Studios takes of shoppers are always super cute, so don't forget to stop by their booth for a free photo. Everyone in my house is obsessed with "Doctor Who," (I even dressed up as the Tardis last Halloween.) and David Tennant is easily our favorite Doctor. It's no surprise, then, that this screening of the Royal Shakespeare Company's theatrical production of the historical tragedy starring Tennant has piqued my curiosity. His performance as the ill-fated British monarch is being broadcast from a sold-out show in Shakespeare's hometown, Stratford-Upon-Avon. This is a first for the movie theater, so it should be quite an interesting night. There are only a handful of authors whose work I love so much that I own every novel they have published, and whenever they release a new one I immediately add it to my wishlist even if I have no clue what it's about. 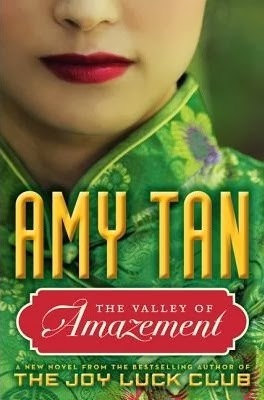 Amy Tan is one of these writers, and she just released her latest work, The Valley of Amazement, last month. The book covers 40 years in the lives of two women, Chinese-American Violet and her white mother Lulu, from Shanghai "flower houses" to a remote Chinese village. As with most of Tan's works, the many facets of mother-daughter relationships are explored as they each struggle to navigate the challenges life throws at them. She discusses and signs copies of the novel at 7 p.m.
Tony and Grammy Award-winning Bette Midler made her first Broadway appearance in nearly 40 years as the star of "I'll Eat You Last," which centers around the legendary Hollywood super-agent Sue Mengers who represented clients that ranged from Barbra Streisand, Faye Dunaway and Cher to Burt Reynolds, Gene Hackman and Ryan O'Neal. See the Divine Miss M shine in the witty, one-woman play written by John Logan and directed by Joe Mantello as it runs in Los Angeles through Dec. 22.